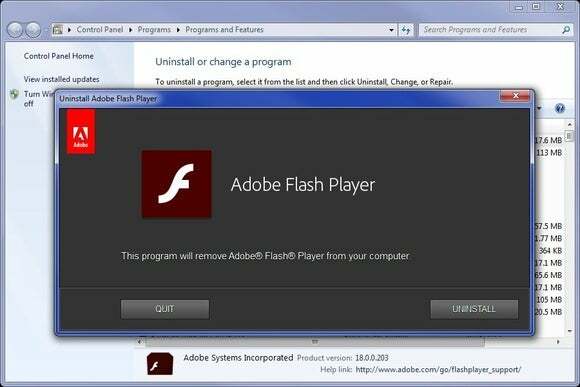 A new report predicts Flash will mostly disappear within two years. Is it Time to Kick Flash Off Your Site? As a video format, Adobe Flash is almost gone for good. According to a report by Encoding.com, Flash accounted for just 6 percent of video output last year, down 15 percent from 2014. Today, it’s mainly used for legacy browsers, banner ads, and some specific edge cases. “We expect to see the Flash video codec disappear completely from our report with 24 months,” the report says. That sounds like great news for people who’ve dropped Flash from their web browsers due to security concerns and performance drawbacks. But for Encoding.com’s bold prediction to pan out, several major streaming sites will have to change their ways. Hulu, for instance, continues to require Flash Player for its desktop website. (The site actually encodes video in H.264, but uses a Flash Video container for streaming. Encoding.com CEO Greggory Heil said this type of scenario still counts as use of Flash Video in its percentages.) Other major streaming sites that still rely on Flash Player include HBO Go, CBS, NBC, MLB.TV, Showtime, Pandora, and Spotify. The notion of major sites clinging to Flash video is more than just anecdotal. For a story in Fast Company last August, web technology metrics firm W3Techs told me that Flash was still in use on roughly 10 percent of all websites, but on roughly 15 percent of the top 1000 sites. It makes sense that bigger sites would have a tougher time changing their technologies. Still, there has been some progress in moving away from Flash Player. Last summer, Twitch switched to HTML5 for its video player and HTTP Live Streaming for the underlying stream last summer. Amazon rolled out an HTML5 web video player around the same time. Netflix and YouTube have offered HTML5 players for years. It’s anybody’s guess when other big sites might follow the trend. In the meantime, Flash’s decline will come largely from the explosion of mobile devices, none of which support Adobe’s aging video format or media player.